A big ol’ scoop of ice cream may be in order thanks to some sweltering hot temperatures making their way across the U.S. But if the carton you have in the freezer happens to be from Trader Joe’s you might want to pitch it instead: The grocery chain recalled all of its Matcha Tea Ice Cream over pesky metal pieces. 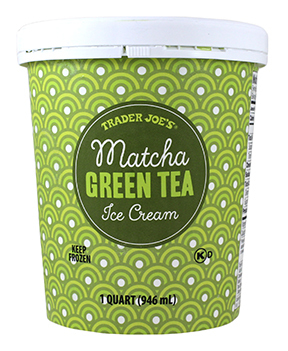 Trader Joe’s’ announced over the weekend the recall of Trader Joe’s Matcha Green Tea Ice Cream after determining the potential presence of small metal pieces in the cartons. The recalled ice cream was sold in 1-quart containers with the SKU 055740. So far, the company says it is unaware of any injuries related to consumption of the frozen product. While Trader Joe’s didn’t provide a specific quantity of ice cream covered by the recall, the grocery chain says all affected product has been removed from store shelves and destroyed. Consumerist has reached out to Trader Joe’s for specific details on how much ice cream has been recalled and the location of stores where the product was sold. We’ll update this post if we hear back. Customers who purchased the ice cream are urged not to eat it and to return the product to any Trader Joe’s for a full refund. Anyone with questions can call Trader Joe’s customer relations at (626) 599-3817 or contact the retailer through its website.